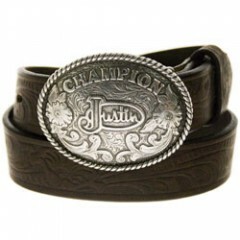 This Justin Belt is perfect for the little cowboy in your family! With the tooled floral p..
Look at that buckle! 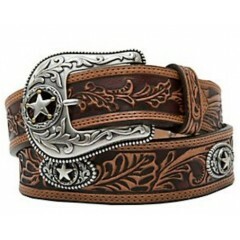 The details on this Justin belt are great and have true cowboy stylin.. 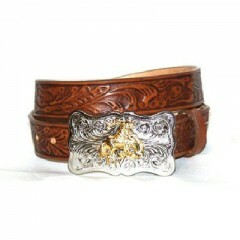 This Justin Belt has true cowboy styling! With the star conchos and multi-tone leather, th..